Do not be fooled by the darkness of its appearance, its reflective exterior is no coincidence. Hematite is your companion because its job is to reflect back all negativity to and limitations to their source. If they come from another, then you will be cleared of their effects upon you. If, however, their source is within you, then it will help you to dispel them and free both yourself and your Wish from their effects. Reflection. Grounding. Insight. Confidence. Courage. Hematite helps you to firmly plant your feet on the ground and connect with what your Wish truly means for you, and how to make it real. It will help you to open your eyes to what is happening around you and bring you back down to Earth. 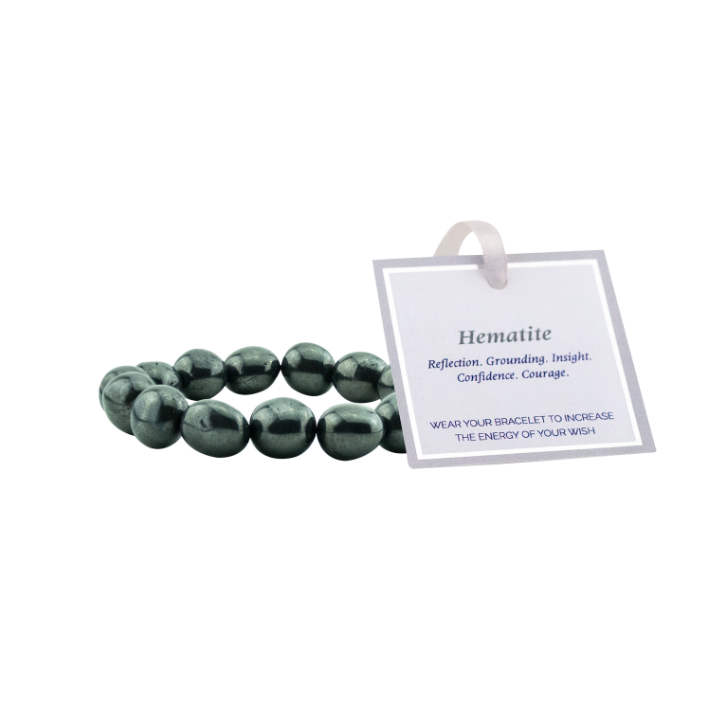 A calming influence, Hematite will help you to reduce the stress that may be associated with your Wish. It works to strengthen your will power, to nurture your self esteem and to bolster confidence in yourself and that which you wish for. Connect to that courage within and concentrate your energies into what is truly important. 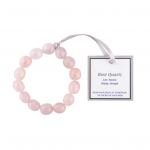 The Wish ~ Hematite Bracelet is one size fits all and includes approximately 15 individual crystals.